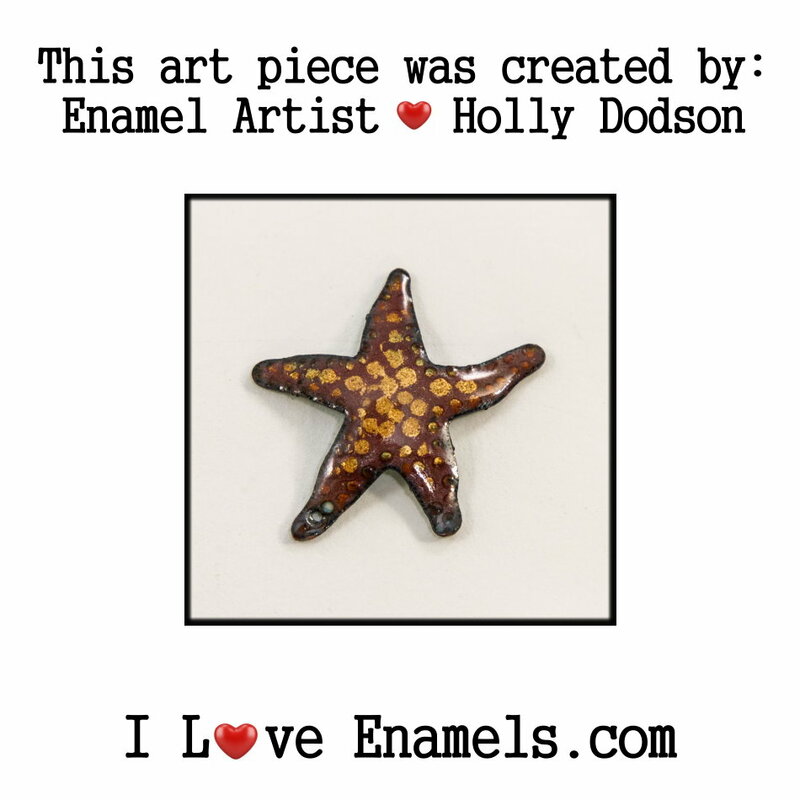 Copper Starfish Stamping Blanks, Large Starfish Enameling Blanks, Painting Blanks, Metal Blanks Blank Shape cut outs made of copper for metal working, enameling and jewelry making Discount pricing, please see drop down menu for pricing. The more pieces you purchase the more you save. Metal Type = Copper Gauge of Piece = 18 Gauge Size = 1 1/2 inches tall x 1 3/8 inches wide These copper pieces or blanks as they are called can be used to embellish many items. You can use them as they are. These make a nice necklace or wind charm. These are a nice size and thickness to hammer out designs and patterns. They can be made larger by rolling them threw a rolling mill. If you heat them first before rolling them, this will make your process a little easier. 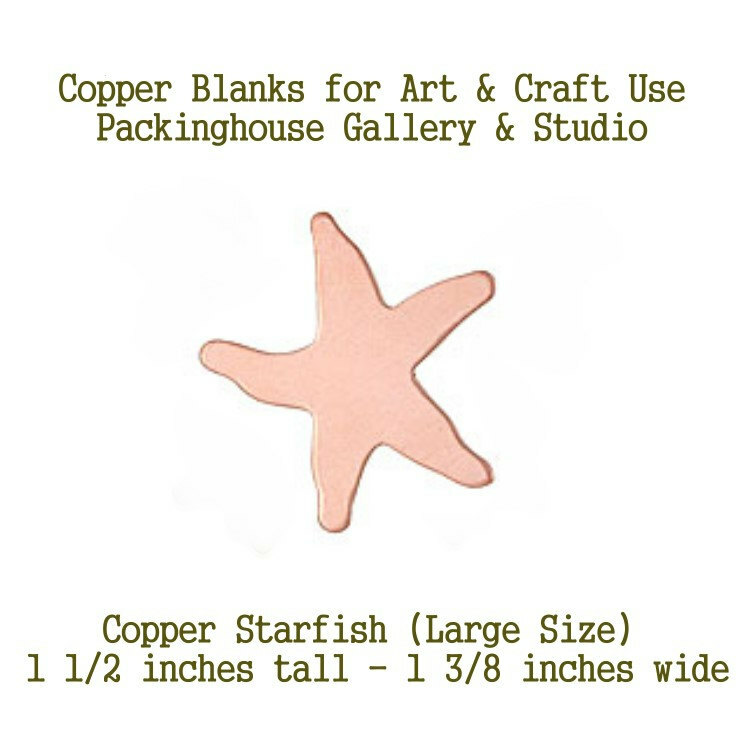 These shaped cut out copper blanks can be used for just about anything, from scrapbooking, metalworking which would include enamel, glass and jewelry making. They can also be used as a accent on bottles, gourds and used in wind chimes. Some folks use them in scrapbooking as a accent piece. The possibilities are endless. All our items come from a smoke free, perfume free environment.